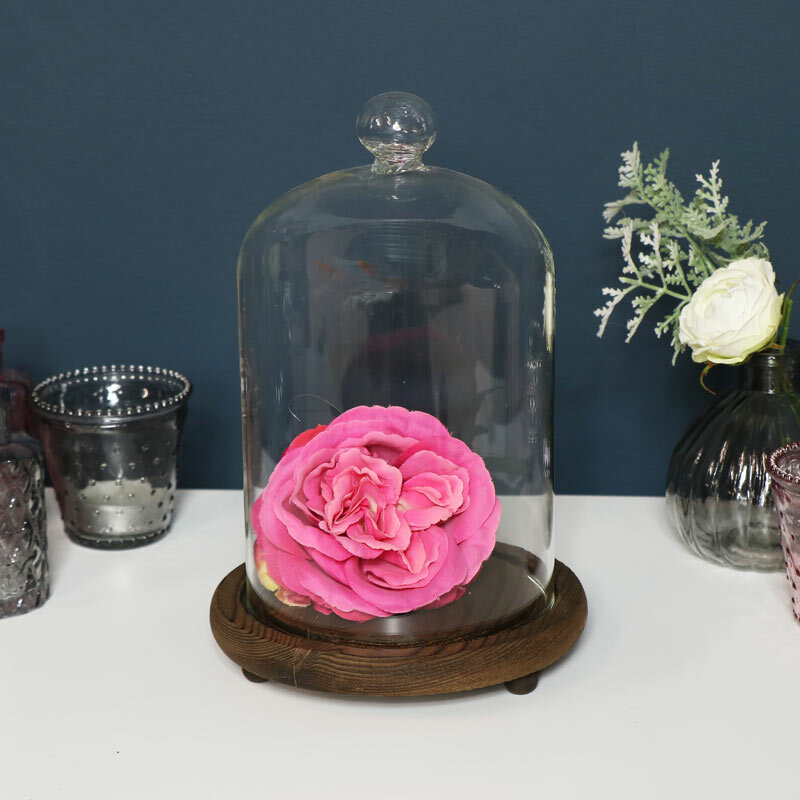 Glass Cloche Dome Display - Vintage style glass bell jar display case. Clear glass dome upon a round rustic wooden base. Beautiful decorative accessory for home and wedding display, Glass Cloche Dome Display for holding treasured ornaments and trinkets. Charming rustic design will be the perfect gift idea for collectors. 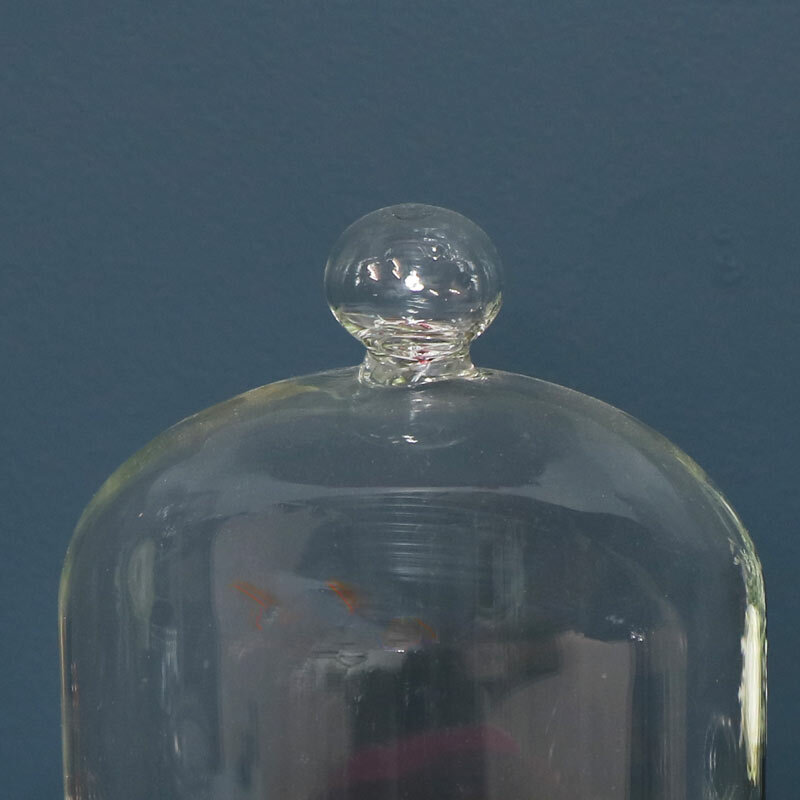 Glass Cloche Dome Display - Vintage style glass bell jar display case. Clear glass dome upon a round rustic wooden base. Beautiful decorative accessory for home and wedding display, Glass Cloche Dome Display for holding treasured ornaments and trinkets. Charming rustic design will be the perfect gift idea for collectors. 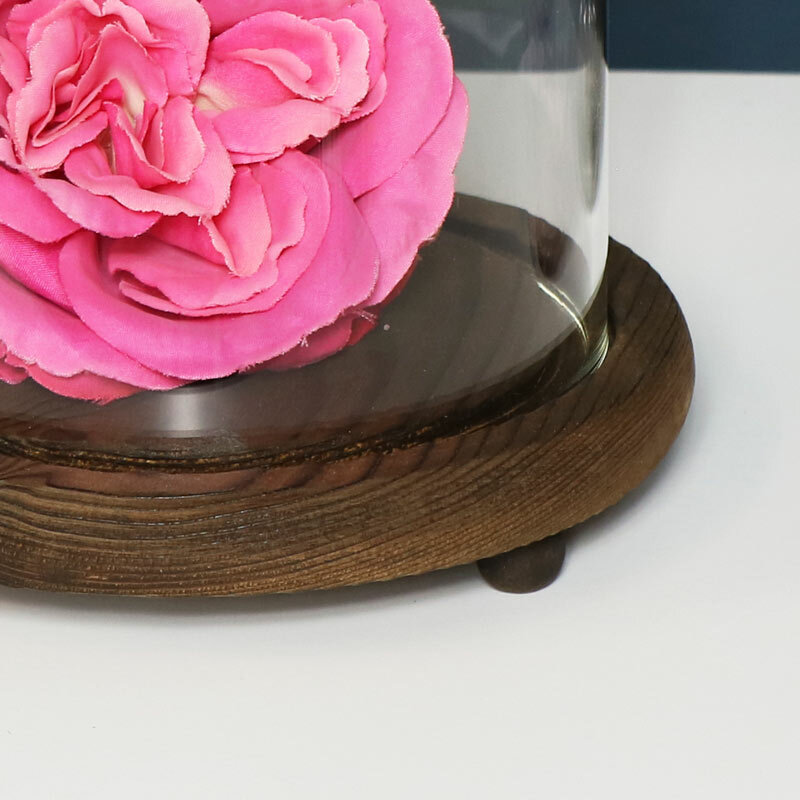 Rustic dark brown wooden base with glass cloche dome. A great addition to our growing range of gifts and home accessories with something to suit everyone and every occasion.